Thursday to Sunday, July 7, 8, 9, & 10. This is the second weekend of the month. Have you started planning to come to the reunion next year in July? If you start now you will have the time and money! can’t get to the reunion). 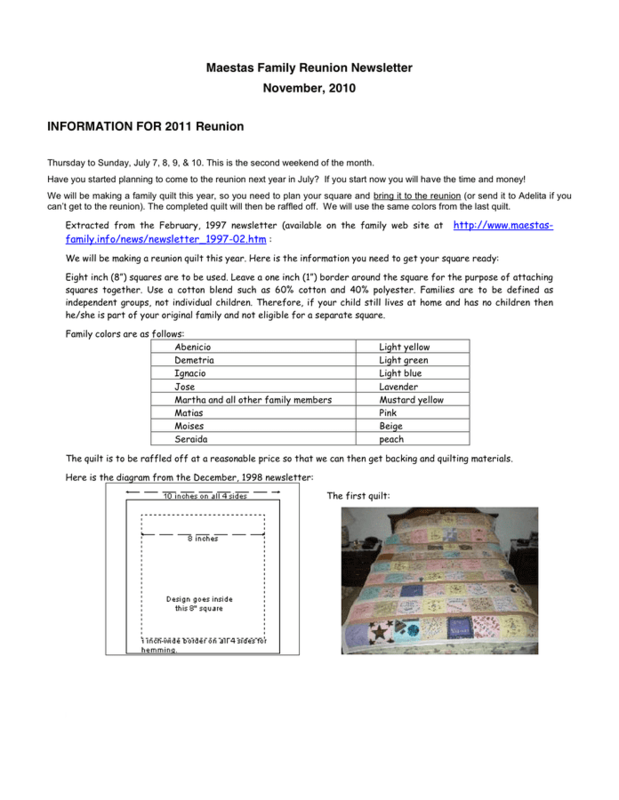 The completed quilt will then be raffled off. We will use the same colors from the last quilt. he/she is part of your original family and not eligible for a separate square. 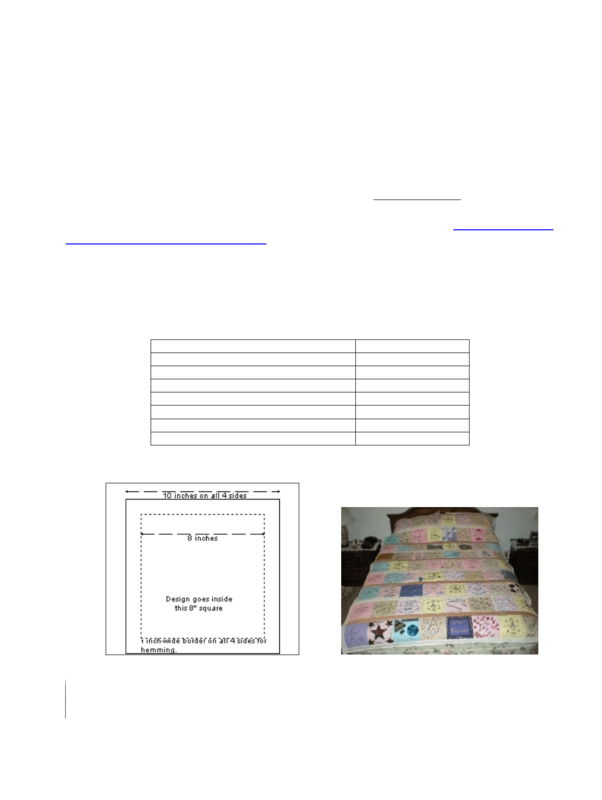 The quilt is to be raffled off at a reasonable price so that we can then get backing and quilting materials.